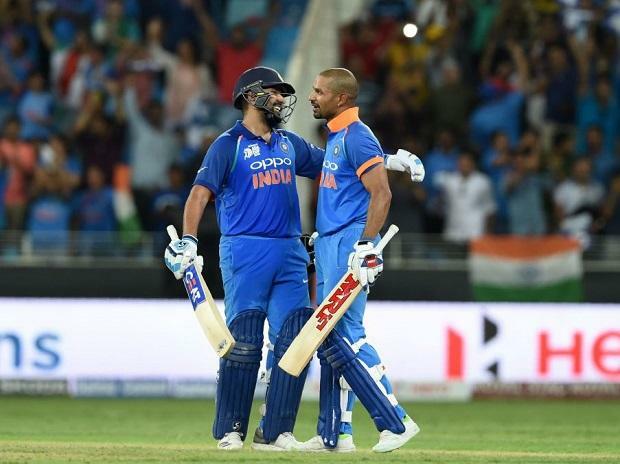 Team India defeated arch-rivals Pakistan by 9 wickets with the help of brilliant centuries of Sikhar Dhawan and Rohit Sharma in the Super-4 match of Asia Cup. Batting first, Pakistan scored 237 runs at the loss of 7 wickets in the allotted 50 overs. In reply, Team India achieved the target with 63 balls remaining, losing 1 wicket. Shikhar Dhawan was adjudged Man of the Match for his outstanding performance in this match. He scored 114 runs off 100 balls with 16 fours and 2 sixes. Chasing a target of 238 runs, teammate Shikhar Dhawan and captain Rohit Sharma got the best start. But unfortunately Shikhar Dhawan got run out in the 34th over. Then after, Rohit Sharma also got his century, he scored 111 runs off 119 balls with 7 fours & 4 sixes. Rohit Sharma and Sikhar Dhawan got the best partnership for the first wicket with 210 runs. This is Asia’s second largest partnership in the form of opener.